I'm still here, I've just have been really inconsistent with posting! If you only follow me via this blog, you would be right in thinking that I have fallen off the grid! Although sometimes falling off the grid sounds like a wonderful idea I haven't gone to that extent! The truth is between working hard on various bits and pieces in the community, going away and looking after myself, writing blogs consistently has been well down on the list of things to do. It takes a fair bit of time for me to write, process a few pictures, review what I have written and edit, then upload and unfortunately I have had trouble finding this time in the last few months. Although I haven't been blogging regularly I have been developing other areas of AntnzVentures. Along with the FaceBook page from which all this started; we now have a YouTube channel where I am posting more regularly with trip logs, when I remember to I also post on Instagram and I have started a (mostly) weekly Twitch stream which at the moment is on a Monday 7.30pm NZST. We are also in the process of redesigning this blog into more of a website that and this should be launched in the very near future (be prepared for an avalanche of photo galleries). I am very thankful to MJ who does the editing for the YouTube channel which does free up some of my time but the Enabling Good Lives work has been taking up a lot of my time. I also want to thank Jade and Hannah from Epic Studios for their support and help in getting these new innovations happening, working with me on "branding" and the SideStix brand deal through Speedy Snail Mobility. Your support has been a huge part in the growth of what I am doing, I honestly can't thank you enough. Also in the last few months we've had the Christmas and New Year season and then we disappeared for 3 weeks during February for our annual road trip. 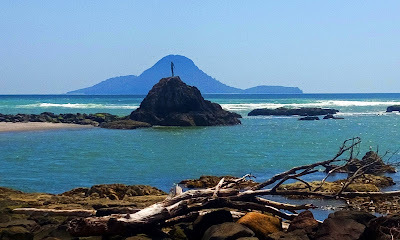 This year we took a few days at the Lake Taupo hideaway, then we drove up to Whakatane for a couple of days. After Whakatane we followed State Highway 35 around the coast down to Gisborne where we spent another couple of days before returning to the Lake Taupo hideaway for a week for purely rest and relaxation. This was an amazing trip and keep an eye here and the other platforms for upcoming pictures and video of this trip. Over the Christmas/New Year season I spent a bit of time reflecting on how 2018 had gone. It was an amazing year, I have learnt heaps and been involved in some amazing work, have met some amazing people and overall I enjoyed the year. However while reflecting on this I realised I had spent most of my time reacting to Enabling Good Lives work and saying "yeah I can do that" to a lot of additional things that again ate into my time. I ended up deferring and then cancelling some AntnzVentures trips in order to get the work done. 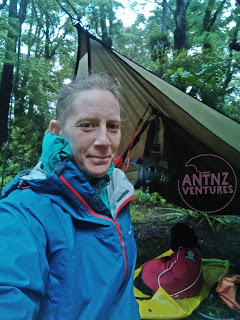 I have decided for 2019 I am not going to put AntnzVentures work or trips "on hold" to get other work done so I have booked in some trip dates going through until about August this far and I am not intending to move or cancel these trips as I want to continue to follow what I am truly passionate about, which is being outdoors, enjoying the time with nature and using the outdoors to pursue and show the potential of us all to achieve our dreams. Unfortunately dental work has meant I have had to skip a couple of trips, but at least it wasn't due to Enabling Good Lives work! Now I know some people are probably asking, "why has Enabling Good Lives taken up so much of your time?". This project has always been a bit of a "yeah I can probably do that." or "I'd be interested in finding out more." and that has led to me now having to carefully select just what I am going to take on as things progress. One of the things I have learned is that with every layer you unpack with an Enabling Good Lives approach there are about 3 more layers that are uncovered that you then need to also unpack. First there was a focus on getting a leadership group together, as the working groups came together, trying to train officials and getting Ministers to say "yes" to the prototype. As the working groups came together and we trained the officials we managed to get some of the working groups and the timelines extended to work more of "disabled people's" time rather than "I get paid good money and I do this for 40 hours a week at an intensive level" time in order to do the co-design process justice. As the Working Groups mostly wound up the intensive planning for the prototype of Ministry of Health Disability Support Services in the Mid-Central Regional was well underway and the countdown to October 1st 2018 was on. I was also appointed as the Mid-Central Leadership Group Representative to the National Leadership Group for Enabling Good Lives. Then there was branding, staffing, process development, staff training, more working groups and lots of getting the word out to disabled people in Mid-Central about what Mana Whaikaha (prototype brand name) could do to help them live a better life. October 1st 2018 had arrived and with a hiss and a roar Mana Whaikaha was off; many of us had been so focused on October 1st and breathed a collective sigh of relief. The relief was short, October 1st was just the start for the next phase of Enabling Good Lives! With one of our Core Group members, Pohiri. But as I said, October 1st 2018 was really just the start of the next phase of the Enabling Good Lives journey. The majority of the staff had only 6 weeks to get themselves ready for working towards a new system within a succession framework. 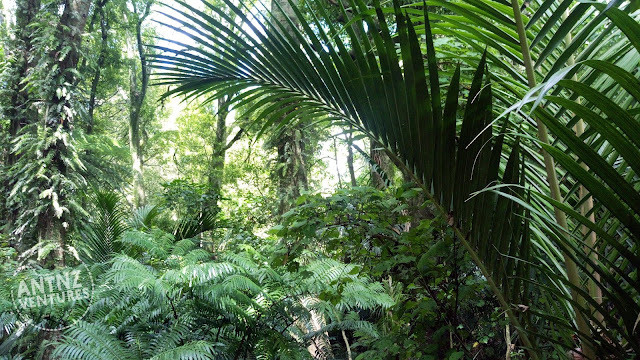 Jade Farrar had interviewed Martin Sullivan on October 1st, and Martin had stated "I think we are going to see a Tsunami of unmet need", and you know what Mana Whaikaha has certainly seen that. It was anticipated that in the first 9 months of operations that 396 (I think??) people would be interacting with the new system, to date, and 6 months in we have seen close to double that already. Not only did we have huge amounts of people interacting, we also launched the next round of projects including; contract panels, establishing the Capability and Capacity Building Fund panel, supporting our Deaf community to establish strong connections and communication for Deaf people and continuing to spread knowledge of Enabling Good Lives and Mana Whaikaha. This work is ongoing and it will be interesting to see what happens from here. We do not have a lot of time to "prove to Ministers" that this systemic change has good outcomes not just for individuals but socially and economically as well. As much as I just kind of found my way to this work; overall I enjoy the work, it has been challenging, a learning opportunity and I have met some amazing people along the way. One thing that does wear on me at times is the criticism that comes from some in the wider community, it can be hard not to take it personally, I am doing my absolute best to do as much as I possibly can to make positive change for people's lives. There have been times when I have wondered if working so hard on this project is a wise thing to do; it has been stressful, hard work and at times demoralizing. However for me this is a community that has for too long been ignored and if I can help give people a voice for people to have input into changes that are going to affect them I will do my upmost best to enable that to happen. 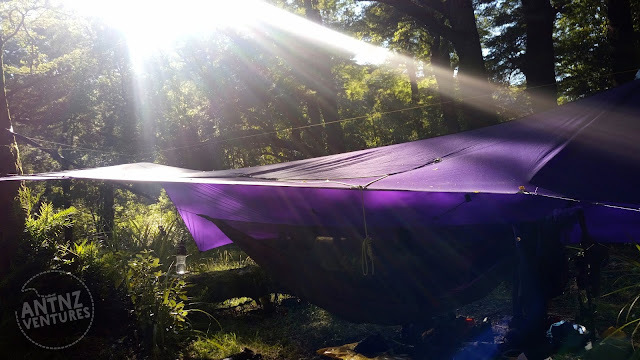 The new rain fly has amazing coverage, looking forward to using it more! I managed to sneak out to "field test" my new rainfly in early Janurary, so I took a couple of days at Donnelley's Flats just to clear and reset my brain before the years meetings really started. It was an awesome trip and there should be a video coming shortly on this trip. Then we managed to head off for our annual February trip, I got back to a couple of weeks of meetings then got a couple of teeth out, then back to meetings. Unfortunately this month I am not getting out into the hills, I still have one more tooth to get fixed and that is happening this week, my dentist didn't think it would be "ideal" if I went out bush as soon as I'd finished at their appointment! I'm going to try and write more consistently again over the next few months and we will just see how it goes! Don't forget to check out AntnzVentures on Facebook, YouTube, Instagram and Twitch. Anaura Bay with Motuoroi Island in background. Stay safe and take care everyone! Thrive Not Survive!